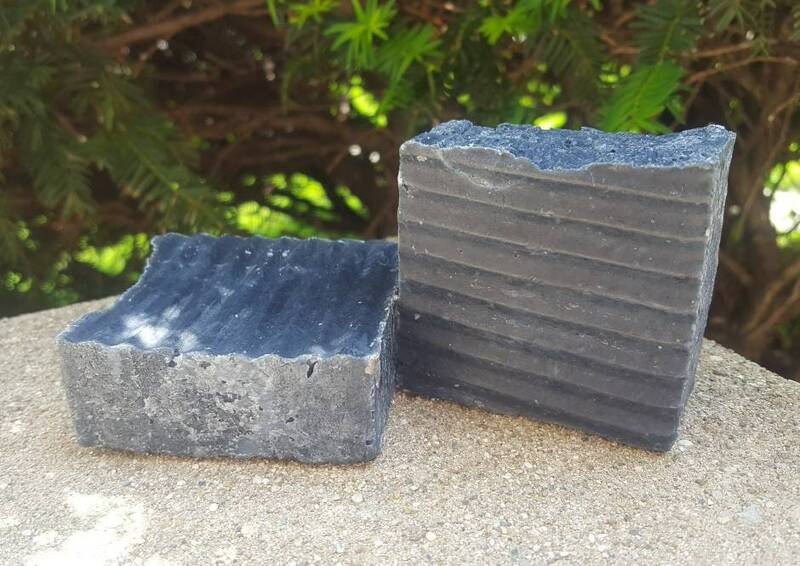 Select this activated charcoal and coconut milk soap with sea salt soap bar with or without tea tree essential oil. Then choose from our new full or sample size options! This activated charcoal bar can be used for face and body. It is a hard natural soap bar with a soft, creamy, rich lather that cleanses and moisturizes the skin. Activated charcoal is widely used to fight against acne. Use the soap alone or with a loofah to lather and cleanse your skin. The activated charcoal (black in color) transfers from the soap bar into the lather. 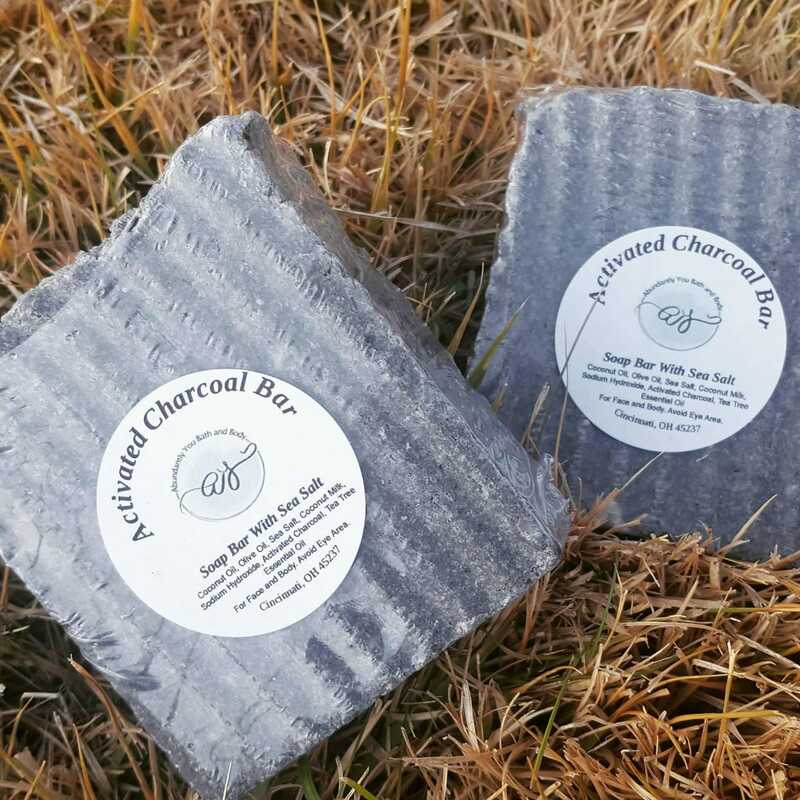 To extend the life of your activated charcoal soap bar, keep dry between showers. Each activated charcoal soap weights approximately 4 ounces. Note ingredients listing to prevent possible allergic reactions.